Our guide to Cleveland will help you find the best green spots in Cleveland Ohio. Cleveland has the resilient, no-nonsense attitude of any hard-working, Upper Midwest city. It's rock and roll, football and beer, and polka and kielbasa. And although it hasn't blinked as some of the elements of its 1990s renaissance have faded a bit, the long-term trend is still toward improvement. While some efforts have failed, new restaurants and nightspots have joined old favorites to give the city an impressive variety of entertainment options and a cultural diversity that might come as a surprise to first-time visitors. There are tons of great green spots in the city of Cleveland, our city guide will help you find the best green spots. You may have a hard time deciding what to do in Cleveland, but we make your decision easy. 10325 Cascade Xing, (216) 267-8360 - Chipotle Mexican Grill is a green restaurant located in Cleveland OH. 12706 Larchmere Blvd, (216) 707-3333 - Vine and Bean Cafe is a green restaurant located in Cleveland OH. 135 Market St, (440) 835-4539 - Chipotle Mexican Grill is a green restaurant located in Cleveland OH. 14881 Detroit Ave, (216) 221-9100 - Chipotle Mexican Grill is a green restaurant located in Cleveland OH. 15029 Pearl Rd, (440) 846-9625 - Chipotle Mexican Grill is a green restaurant located in Cleveland OH. 15601 Waterloo Rd, (216) 862-4895 - Cafe Marika is a green restaurant located in Cleveland OH. 17999 Bagley Rd, (440) 243-5041 - Chipotle Mexican Grill is a green restaurant located in Cleveland OH. 21029 Ctr Rdg Rd, (440) 356-3109 - Chipotle Mexican Grill is a green restaurant located in Cleveland OH. 24369 Cedar Rd, (216) 291-1686 - Chipotle Mexican Grill is a green restaurant located in Cleveland OH. 2783 Euclid Hts Blvd, (216) 320-0280 - Chipotle Mexican Grill is a green restaurant located in Cleveland OH. 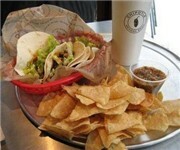 33599 Aurora Rd, (440) 542-0017 - Chipotle Mexican Grill is a green restaurant located in Cleveland OH. 3471 Steelyard Dr, (216) 661-6750 - Chipotle Mexican Grill is a green restaurant located in Cleveland OH. 4015 Richmond Rd, (216) 378-1967 - Chipotle Mexican Grill is a green restaurant located in Cleveland OH. 6901 Rockside Rd, (216) 986-0551 - Chipotle Mexican Grill is a green restaurant located in Cleveland OH. 7707 W Ridgewood Dr, (440) 845-8400 - Chipotle Mexican Grill is a green restaurant located in Cleveland OH. 9761 Vis Way, (216) 662-6402 - Chipotle Mexican Grill is a green restaurant located in Cleveland OH. 13212 Shaker Sq, (216) 751-7656 - North Union Farmers Market is a green farmers market located in Cleveland OH. 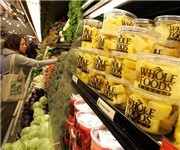 15000 Woodworth Rd, (216) 249-5455 - Farmers Market is a green farmers market located in Cleveland OH. 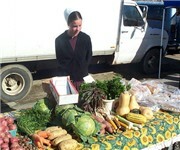 28560 Miles Rd, (440) 248-5222 - Miles Farmers Market is a green farmers market located in Cleveland OH. 8875 Rdg Rd, (440) 237-7888 - Romano's Farmers Market & Deli is a green farmers market located in Cleveland OH. 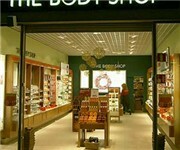 11798 Detroit Ave - Ecology Store Hempfields is a green store located in Cleveland OH. 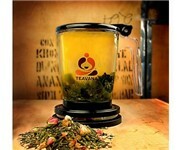 26300 Cedar Rd, (216) 292-2276 - Teavana is a green coffeeshop / cafe located in Cleveland OH. There are plenty more green spots in Cleveland. See all green spots in Cleveland Ohio.